The article mentions Sophie Blanchard, but doesn't mention that she and her husband were early experimenters of the parachute (along with their ballooning exploits) soon after it was invented. Ahh man, it’s like the socialists discovered Instagram filters before the capitalists did. Those are some ruddy cheeks! There's also Jeanne Geneviève Labrosse. Became, I think, the first woman parachutist in 1798, although during the drop she remained in the gondola of her balloon. 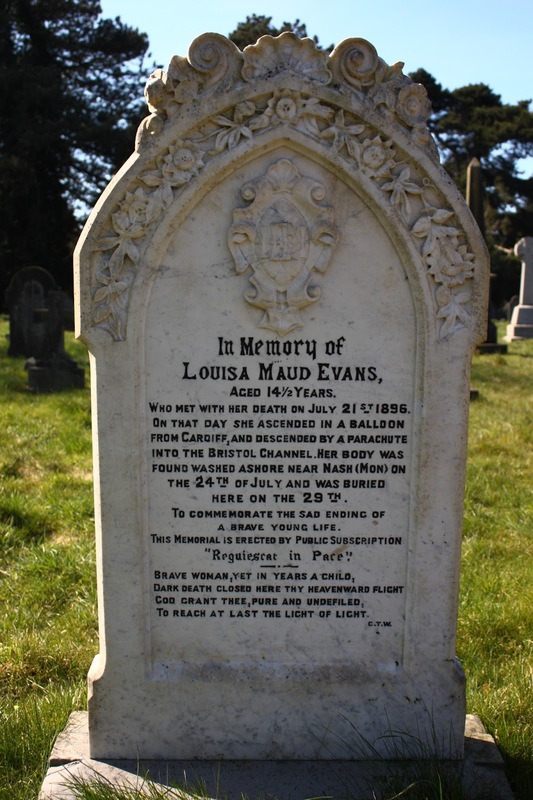 I was always grimly fascinating by this tombstone in Whitchurch cemetery in Cardiff. A 14 year old girl who was killed in 1896, performing a parachute stunt from a tethered balloon. It was such a strange and sad thing to stumble across during a morning walk, and felt like a reflection of how cheap life was in the 19th century. There's more information on it here.